Yes, one of the original goals – free trade between European nations – was admirable and has generated significant benefits. But what started as a positive idea has morphed into a Brussels-based superstate that pushes bureaucratization, centralization, and harmonization. This is why I was – and still am – a fan of Brexit. And I hope other nations escape as well. Of course that would be preferable, but it’s not an option. Instead, the bureaucrats keep pushing for more bad policy. Policies to penalize on tax competition. Policies to penalize low-tax jurisdictions. Policies to penalize American companies. Policies to penalize European companies. And don’t forget bailouts, cartelization, subsidies, waste, corruption, and self-aggrandizement. 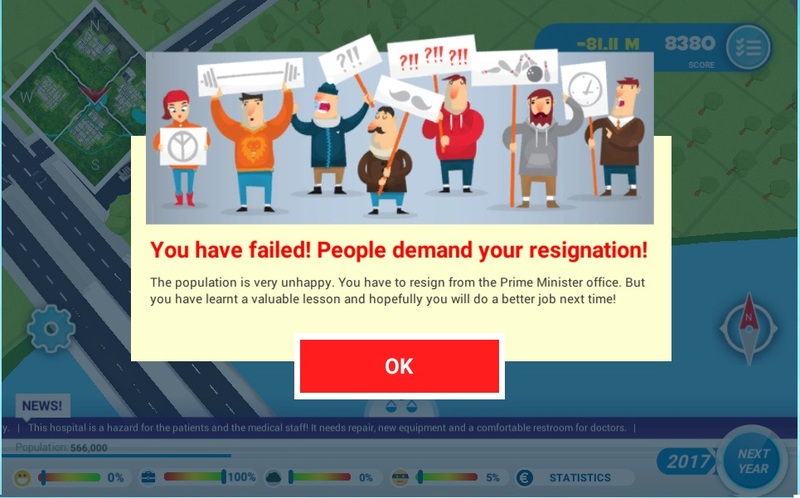 But if you really want to know why the European Union is a lost cause, just consider that the bureaucrats at the European Commission actually created an online game designed to brainwash students into supporting higher taxes. I’m not joking. If you play Taxlandia (I selected the 18-25 age group), you’re asked to pick an aggregate tax burden. So I selected 5 percent of GDP, which seems like the right level to provide core public goods (and also would be close to the tax burden that existed in the 1800s when Europe became rich). 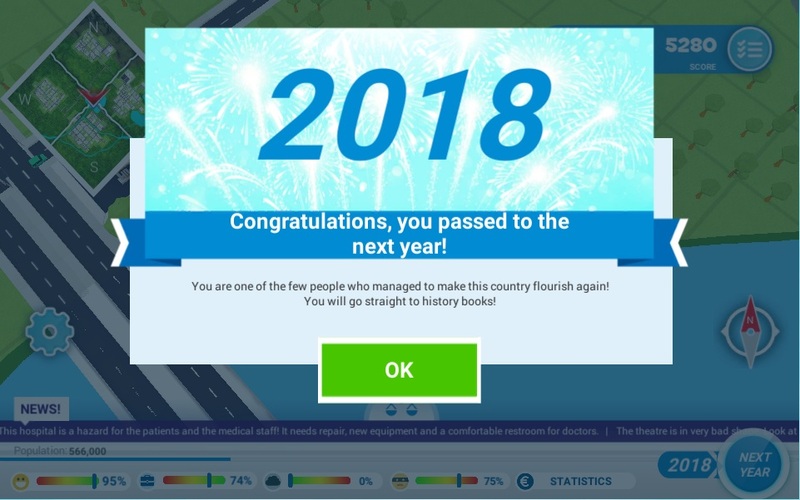 As you can see, the game did not approve of low taxes and small government. I failed. Needless to say, I automatically became very suspicious that the “correct” answer would be much higher. So I selected a tax burden of 50 percent of GDP, basically about what you find in France and Greece. And guess what? I passed! So what happens if you go even farther and impose a tax burden of 75 percent of GDP? Keep in mind that no country has ever been in this range (governments own all production in communist nations, so they don’t have conventional systems of taxation). But if the kids in Europe choose that level of taxation it’s not a problem. They pass! Heck, an 80 percent tax burden gets a passing grade. As does an 85 percent tax burden. The good news is that even the EU bureaucrats don’t think a 100 percent tax is workable. As a matter of fact, once players picks a tax burden that exceeds 87.5 percent of economic output, they fail. It’s good to see confirmation of my hypothesis that even EU bureaucrats are capable of recognizing that taxes can be excessive at some point. That’s not good new for the former French President. Or the ghost of FDR. It’s difficult to pick the worst part of this taxpayer-funded propaganda exercise, but I was quite irked by the accompanying video that extolled the wonder and joy of paying tax and getting freebies from the government. Just in case you think I’m exaggerating, this is how the bureaucrats describe the video. To be fair, the Taxlandia game also allows passing grades for relatively low levels of taxation. Even a tax burden of 10 percent of GDP will allow students to get to the next round of the game. But don’t be deceived by this seeming evidence of even-handedness. Once you pick a level of taxation that allows you to pass to the next fiscal year, you’re then presented with a bunch of options designed to make it seem like higher taxes are needed to have good dams, airports, railways, Internet, and sports facilities. Moreover, it’s also a dishonest game. Given the options that are presented, unknowing students will think that government budgets are basically about physical capital (infrastructure, etc). In reality, though, the vast majority of government spending is for the ever-expanding social welfare state and the accompanying bureaucracy. And it’s a misleading game since there’s no feedback mechanism showing that higher taxes are associated with slower growth and lower living standards. 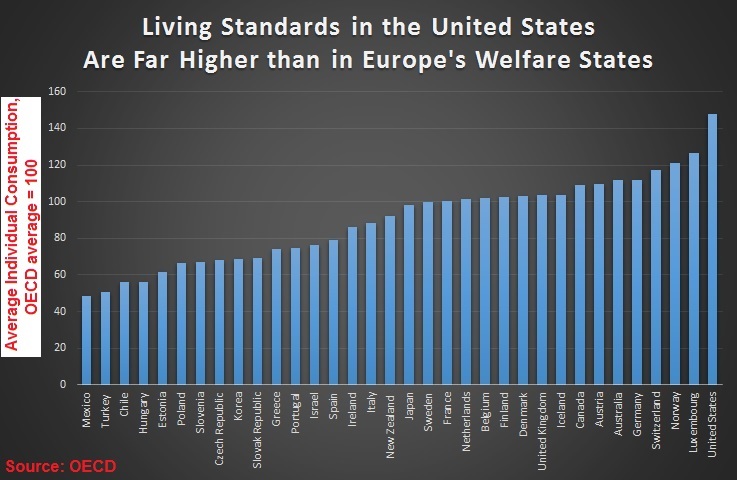 As you might suspect, students never learn that high-tax Europe is much less prosperous than medium-tax America or low-tax Hong Kong and Singapore. Or that rich European nations would be poor states if they were part of America. The bottom line is that European bureaucrats are the ones who deserve to fail for putting together such deceptive propaganda. P.S. About what you would expect from a group that wants to censor Christmas. P.P.S. Speaking of games from Brussels, can you pick the bigger clown?